This entry was posted on 5th July 2018 by WoodBlocX. 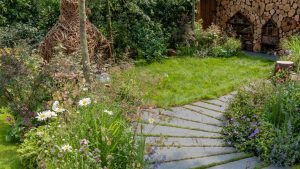 This was the first garden to catch our eye, especially during this time of year when the garden gets used the most with alfresco dining, World Cup BBQs and just getting home from a long day at work and sitting in the garden. 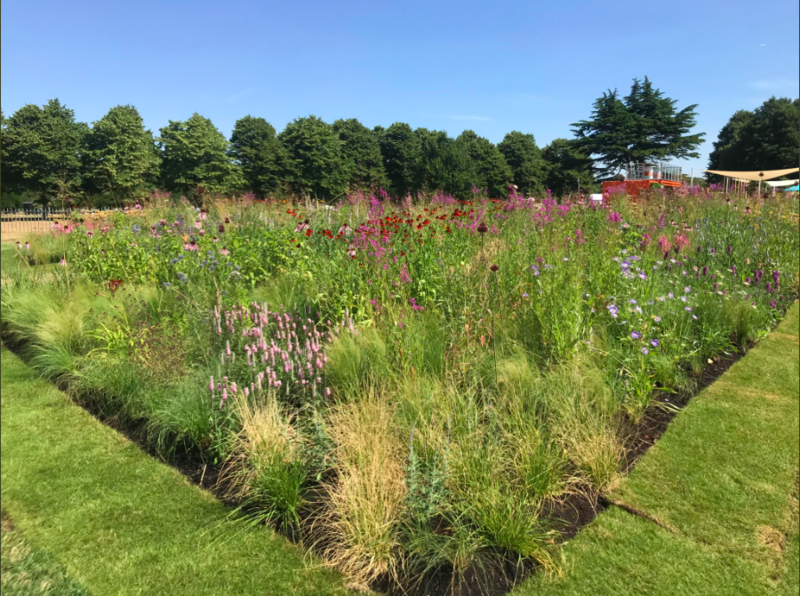 The garden has been designed in celebration of gin, one of the UK’s favourite drinks and is filled with juniper communis, gin’s core botanical. 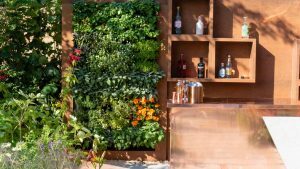 This garden has built-in shelving and bar – two elements that could easily be replicated in your own garden, add some tasteful WoodBlocX garden furniture or seating and you’ve got the ultimate entertaining space. A space that keeps adults and kids happy gets a thumbs up from us. 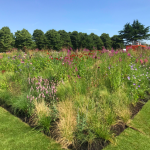 A mixture of beautiful relaxed planting with fun insect areas. 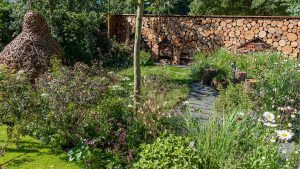 Creating bug houses for the garden is a great activity to get children involved in and, once established bugs such as ladybirds, lacewings, mason bees, wild bees and butterflies will use them for nesting and hibernation, making the garden a hive of activity in the spring and summer helping to pollinate plants and veg. 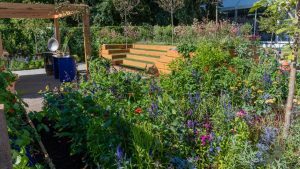 Add one or two raised beds for planting wild and edible flower seeds and leave them to do their thing. 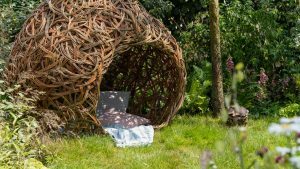 The wicker pod acts as a den for the kids if you can’t get hold of a wicker pod, help them to build their own little den. 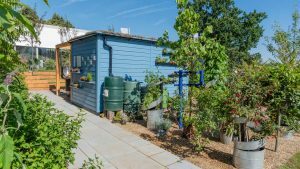 WoodBlocX customers love growing their own produce and so do we so this garden had to be in our top three. 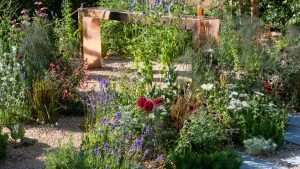 Everything in the garden is edible and the flowers selected are ideal for attracting pollinators, plus the garden combines sunny and shady areas which most of our gardens have. 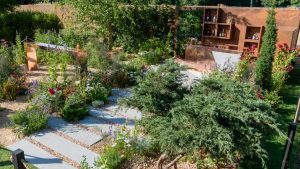 The garden is fairly big but is divided up into different sections to show what can be achieved in smaller spaces. 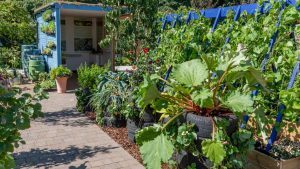 If you want to grow more of your own produce raised beds are a great choice, they help keep pests out, the soil within them warms up quicker, they are accessible and kinder on your back.